Soferim 2:2 rules that one must put a line-width space between lines, a letter-width space between words, and a hair-width space between letters. Does that make the scroll passul, or do the letters need to be strictly next to one another? 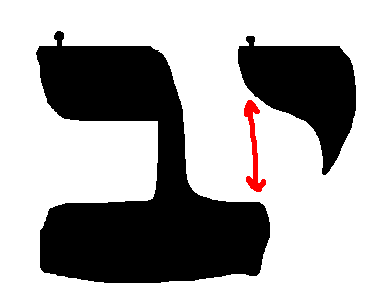 עירוב אותיות according to the רמב"ן is the case you are describing, according to him it would be a psul, if they are really swallowed (worse than your image), however the other rishonim learn עירוב אותיות as דיבוקים (not מוקף גויל). Also one should write on the שרטוט or according to some within at least a שעורה of the שרטוט. Not the answer you're looking for? 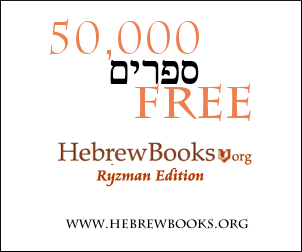 Browse other questions tagged halacha aleph-bet-letters sefer-torah torah-writing . Under what conditions may one leave Eretz Yisroel? Under what circumstances may one eat or drink on a fast day? May one walk under the Arch of Titus? May one say the letters of Hashem's name i.e. “Yud hei vov hei”? May one lie about knowing the difference between Haman and Mordechai on Purim? If one borrowed 4 eggs from a neighbor, and found a bloodspot in one of them: Must/may he return 4 eggs or 3 eggs?